Browse : Home SEO Exploding Your Traffic With Branding And Blog Commenting – What’s The Secret? Exploding Your Traffic With Branding And Blog Commenting – What’s The Secret? Many of us love to go through blogs and comment on the posts but did you know that blog commenting could be considered as a strong point of branding and online marketing? In fact, there are different ways in which bog commenting can work to build traffic to your website and also build a brand image in the process. However, you should also be aware of the fact that too many comments or looking for ways of inserting a quick link are some of the short-cut methods that do no good to the websites, rather harm them instead of helping them. 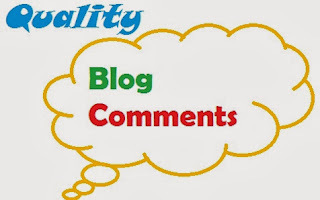 Blog owners require dealing with a number of blog comments and they have to invest a lot of time separating the spam blog comments from the genuine ones but this teach a lot on handling such comments and using it to build traffic for the blog. The blog owners have penned down 3 points that the writers should keep in mind before posting a blog comment in order to make it impressive. The rules are made up of the following details. The profile picture that you use should be of a real person rather than a placeholder or a blank. The comments should be posted under a real name that is associated with the comment. The comments should offer value and not be only a nice post without a strong message. If you can follow the above mentioned 3 points while writing your blog comment, you can be sure that yours won’t get deleted by the blog owner among all the other spam comments. When it comes to posting comments on other’s blogs, there are certain and definite reasons attached to it. Managing to get some good quality backlinks to your website, gaining enough media exposure in your name and avatar image and also offering best quality content are some of the major benefits of blog commenting. You will never find any top blogger comment on smaller blog posts as this takes up most of their time. One way in which you can relate with some big bloggers by making sure that you take enough time to comment on the blogs that have already given you some high quality backlinks. When you see big companies commenting on some new-born blog, this becomes an interesting and thrilling experience. Once you’re sure about the exploding benefits of blog commenting, it’s time for you to know how you can locate some of the best blogs to comment on. Obviously you would like to comment those blogs that fall in the same niche as yours. You can get some good blogs in Technorati 100 as this is a great place to start off with. There are many other websites like this through which you can come across some mind-blowing blogs. No matter what is the reason behind commenting on blogs, you should ensure that you write such comments that you end up sharing a symbiotic relationship with the blogger where you both benefit from each other.